Dorothy Fragaszy, professor of psychology in the Franklin College of Arts and Sciences, recently received the Distinguished Primatologist Award. Given by the American Society of Primatologists, the award was presented to Fragaszy at the society’s annual meeting in San Antonio, Texas. The award is given annually to one primatologist who has had an outstanding career and made significant contributions to the field. 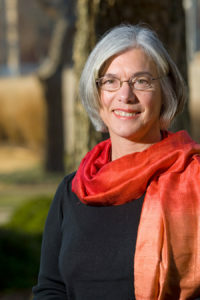 Fragaszy is one of two people who both earned the award and served as president of the American Society of Primatologists and the International Primatological Society. The other is W. A. Mason, Fragaszy’s doctoral advisor at the University of California, Davis. Irwin Bernstein, UGA professor emeritus of psychology, also received the Distinguished Primatologist Award in 2001.